Frankfurt, Germany – Eltima Software has released a new version of their well-known media player – Elmedia. Version 7.0 has a lot of improvements with the Chromecast support being the most substantial one. Elmedia Player allows casting local videos and audio files of almost any file format from Mac, Macbook Macbook PRO, etc. to Chromecast. 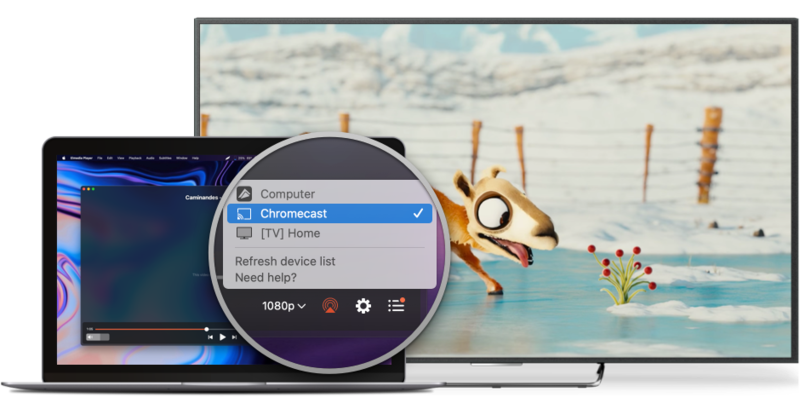 Online videos can be streamed from Mac to Chromecast as well. One can watch YouTube, Vimeo and Dailymotion videos via Chromecast without in-built ads inevitable in a web browser. If you are newly acquainted with Elmedia Player, here’s what it is: a free media player for Mac that supports an immense variety of video and audio formats and offers convenient options for ultimate video watching. It has a 10-band equalizer to shape audio tone that you can adjust manually, allows managing subtitles, supports playlists for local files and web videos, internal volume control, internal audio tracks support and more.